For Christmas this year, my mom made my son a new quilt to fit his new bed. We were trying to find some car fabric but could not find one that we really loved. 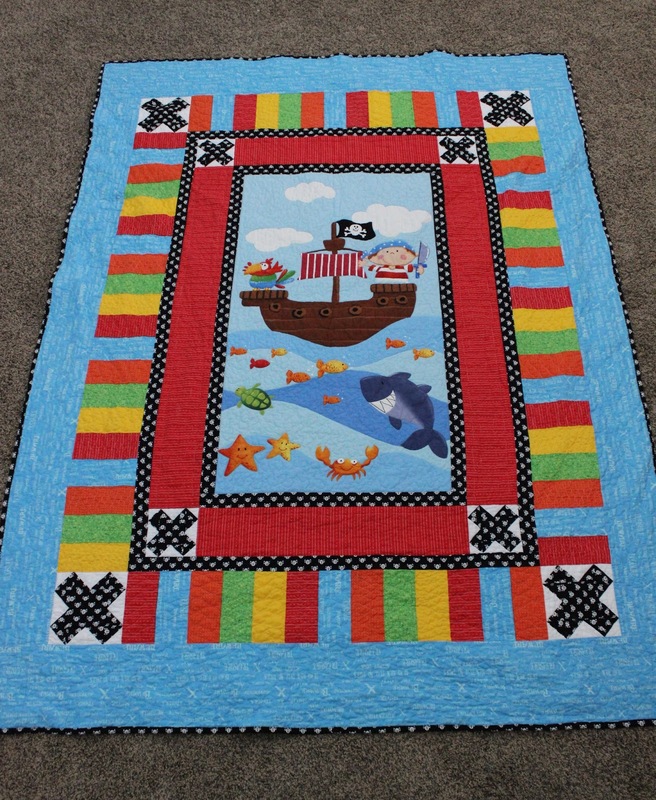 I just so happened to have this pirate panel in hopes to make a quilt with it one day. But my mom was very nice and make it for me! She did a really great job on it and I love how it came out. Look how cute the pirate panel is, this is one that my husband had to have when we went to the fabric store one day. My mom even did some “X”‘s on the quilt. The backing is a flannel piece. Sorry, I can not remember all the fabric names. She machine quilted the whole quilt using free motion quilting. I just love the way the quilt looks and my son loves it too. Thanks again, Mom! LOVE that quilt!! So cute!! What is the name of the pattern? Where can I get it? 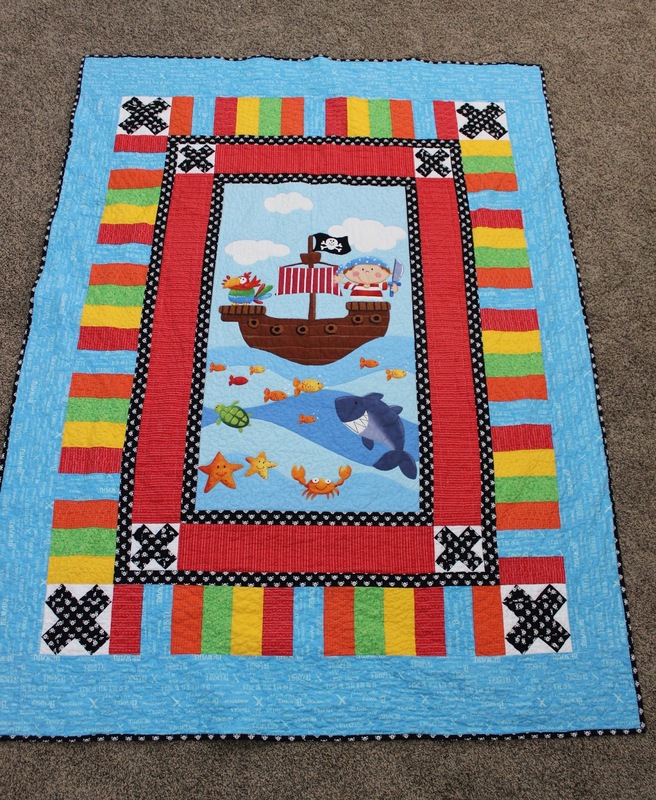 The pirate piece is a panel called Ahoy Matie by Northcott Studio. I hope you can still find it. As for the rest of the quilt, my mom made it up. Sorry but best of luck to you!